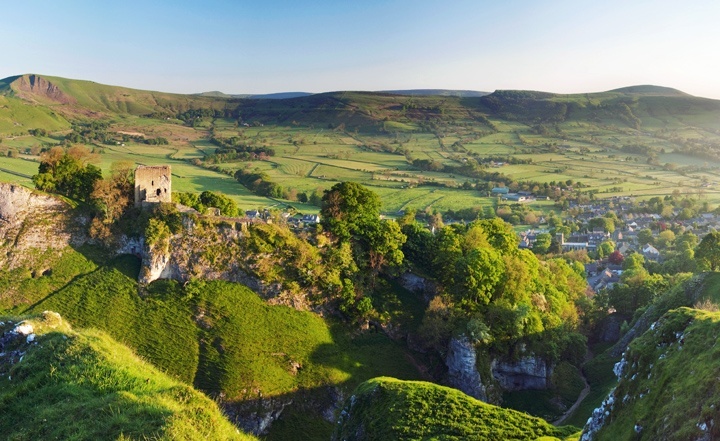 There’s a whole list of must-see English destinations that pull in visitors from around the world – London, Cambridge, Stratford-upon-Avon, Manchester, Liverpool, York. 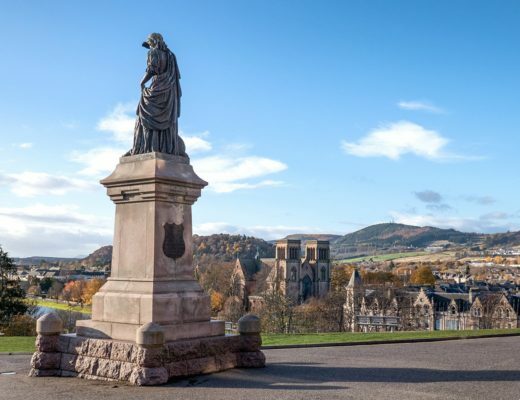 But there’s a lot more to the country than the famous spots, and if you loved Oxford’s colleges or the Lake District’s scenery, then there’s bound to be another similar place you might like just as much but don’t know about yet. I’m a big fan of the slightly overlooked places, what you could call the tourism B-list – places that don’t get the huge crowds of visitors but have their own charms, and are perfect if you’ve already seen the famous sights or are looking for something a bit different. 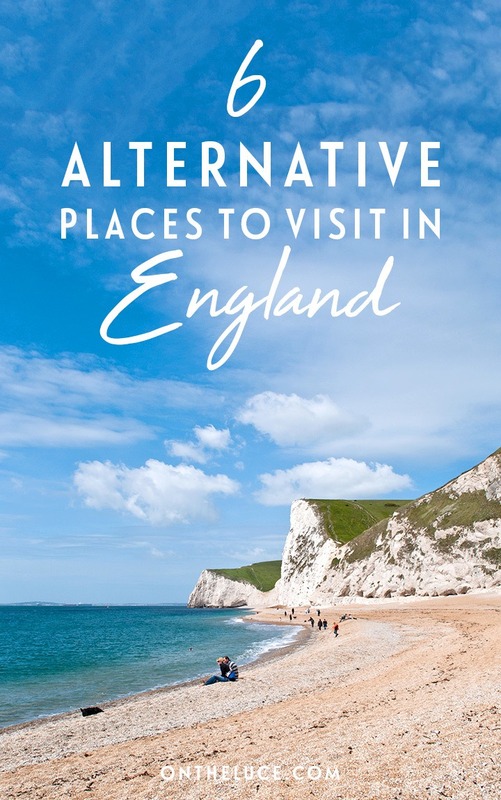 So here are six of my top alternative destinations in England. 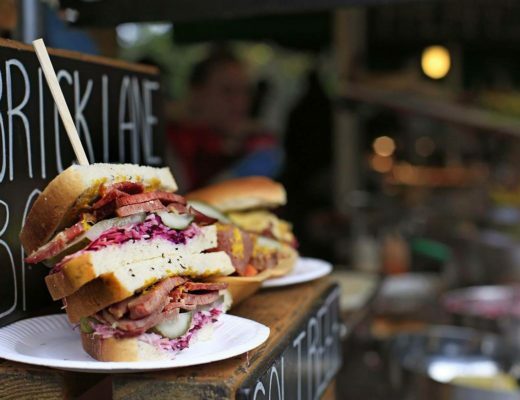 With ornate collage buildings, gowned academics, dusty bookshops and fleets of bikes, Oxford is just what you’d imagine from a British university city – you can almost feel yourself getting cleverer by association. But Oxford and rival Cambridge aren’t the UK’s only classic university cities. 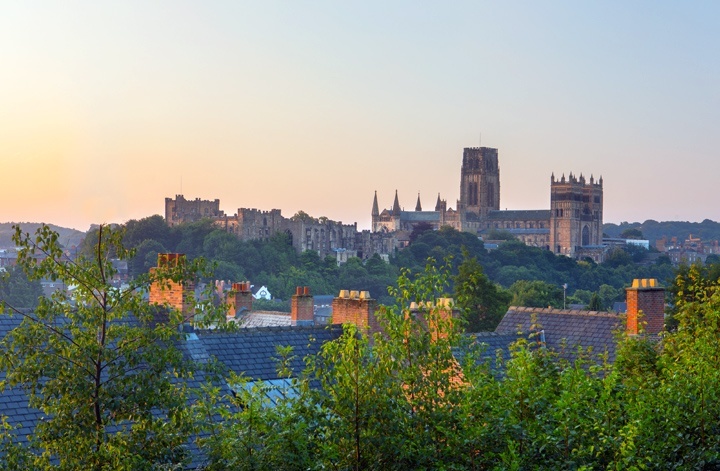 Further north, Durham has a lot of similarities but with a lot less visitors. Like Oxford, it’s a small city that’s packed with history. They’re both set along a river and have cobbled streets, botanic gardens, great museums and a university made up of separate colleges. You can take a self-guided tour of the Durham’s campus (check out University College and St Hild and St Bede for the prettiest buildings), visit the UNESCO World Heritage cathedral and castle, and if you’re there in November you can catch the UK’s biggest festival of lights, Lumiere. In the far south-west of England, Cornwall has 300 miles of coastline that twists and turns past rocky headlands, tiny fishing coves and wide sandy beaches. 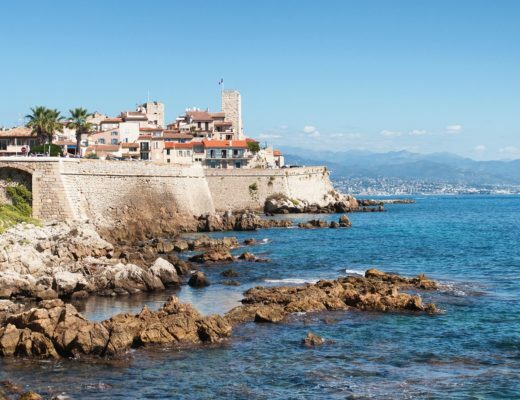 It’s Britain’s most popular holiday destination – and certainly feels like it when you’re stuck in a four-hour tailback over the summer holidays. But a bit further east is the county of Dorset – a lot less busy but with some equally beautiful coastline to explore. There’s the fossil-strewn Jurassic Coast, the perfect arch of Lulworth Cove, the seaside resort of Weymouth and the nature reserve of Brownsea Island with its red squirrels. And just like in Cornwall you can find boutique hotels, ruined fortifications (Corfe Castle), artists and sculptors studios (Sladers Yard), local wineries (Furleigh Estate) and plenty of great seafood (try West Bay crab and Portland sea bass). With influences from the Romans, Vikings, Normans, Tudors and Victorians, York is a snapshot of British history within one city. But across the other side of the country near the Welsh border is a town with more than a few similarities – Chester. Both towns started off as Roman fortresses – back then York was known as Eboracum and Chester was Deva Victrix. And there are still Roman ruins around Chester, including Britain’s largest Roman amphitheatre. Both York and Chester are surrounded by medieval city walls which you can walk around and have cathedrals and trips on the river. 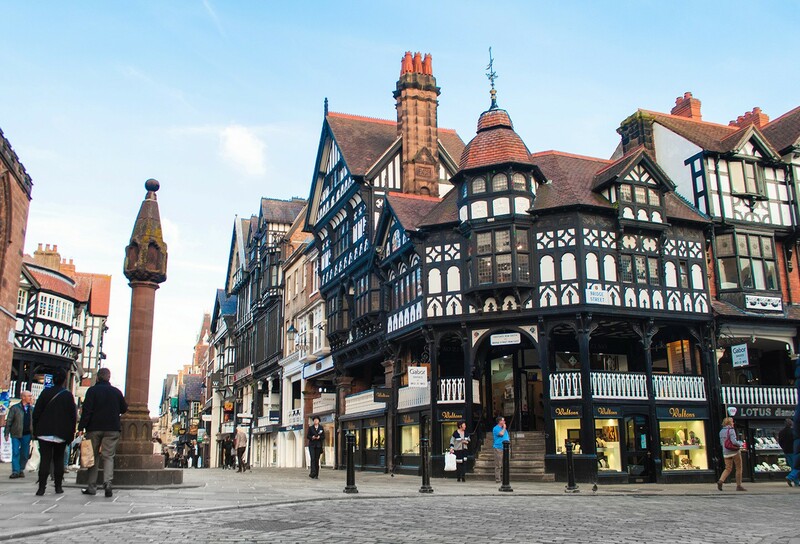 Chester also has Tudor-style half-timbered black and white buildings known as the Rows, with streets lined with cafés, shops and pubs. Back in the 18th-century, spa towns sprung up around the UK for the upper classes to come and ‘take the waters’. The most famous of them was Bath, and it still pulls in plenty of visitors today. But it’s not the only spa town in that part of the world, less than 60 miles away is Cheltenham. Both towns proudly show off their spa heritage as part of their names, and you can still taste the mineral waters in Cheltenham at the Pittville Pump Rooms (they’re just as disgusting as Bath’s!). 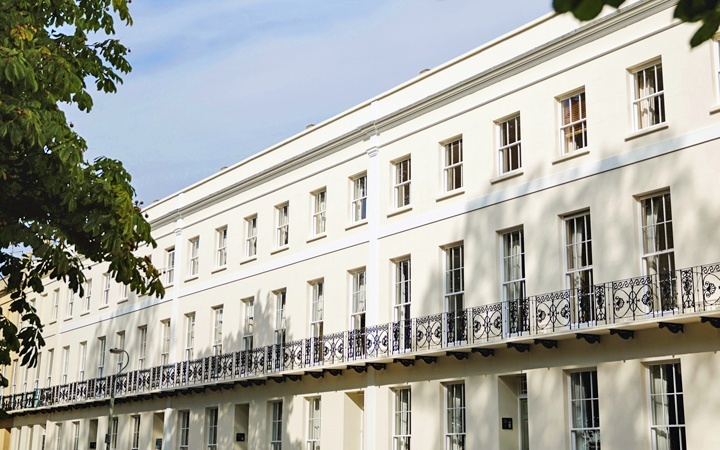 They also share the same elegant Georgian terraces – Cheltenham even has its own lookalike curving Royal Crescent. 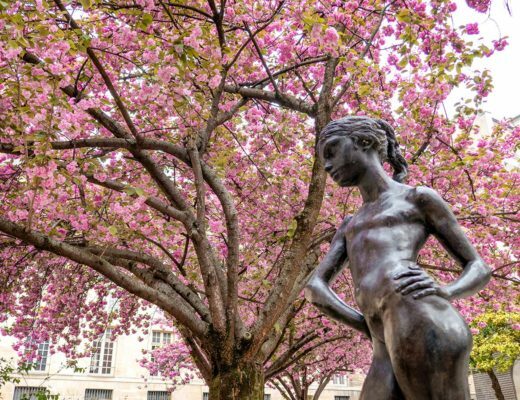 Bath is known for its Jane Austen connection, but Cheltenham has its own literary interest with an annual literature festival along with science, jazz, music and food festivals, and it’s the home of the famous Gold Cup horse race. Its dramatic landscapes of lakes and mountains has made Cumbria’s Lake District Britain’s most popular National Park. 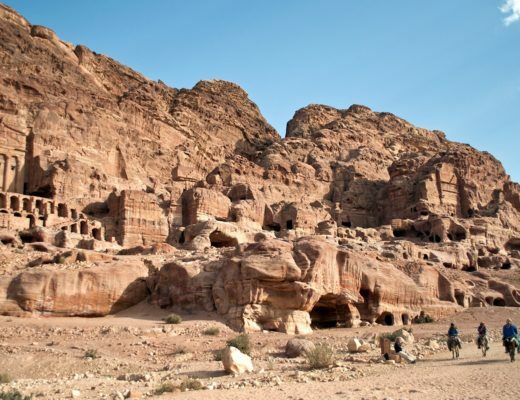 Over 16 million people visit every year to hike and climb, so you might well find yourself in among Gore-Tex-clad hordes at the most popular spots. A bit further south in Derbyshire, the Peak District gets about half the number of visitors of the Lakes so its easier to lose the crowds. Both parks have no shortage of beautiful views and there are plenty of walking and cycling routes (or cosy country pubs if that sounds a bit too energetic). The Peak District also has a few of lakes of its own, including the long pools outside Chatsworth country house and the boating lake at Carsington Water. Just an hour from the capital, Brighton is a coastal weekend escape for thousands of Londoners who shop in the boutiques in the Laines, stroll along the pier and party all night. But for a more relaxed seaside break – with a sandy beach that beats Brighton’s pebbles – try Margate. It was one of the original British seaside resorts but fell into decline when people started travelling abroad instead. But now it’s been regenerated and is challenging Brighton with its eccentric, arty style. Like Brighton, Margate has an old town with cafés, galleries and quirky shops. 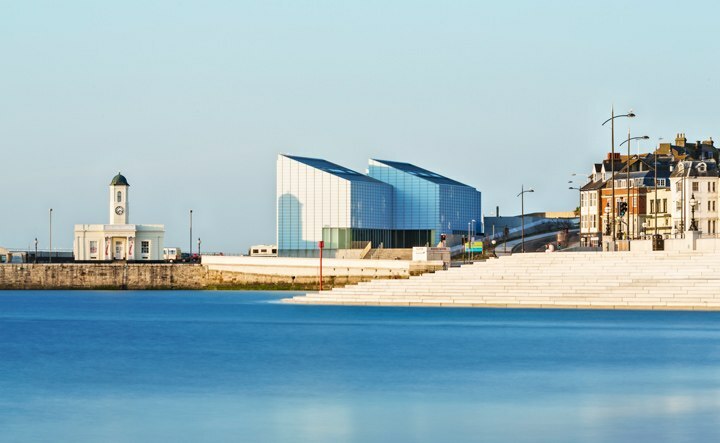 There’s a thriving art scene with the Turner Contemporary gallery and music at its jazz and soul festivals and annual carnival. And there’s also the recently reopened Dreamland, the UK’s oldest pleasure park with vintage rides, side shows and plenty of candyfloss. 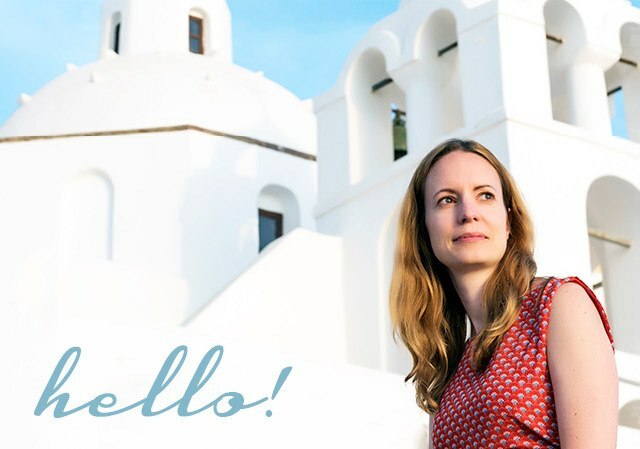 Have you ever visited any of my alternative English destinations – or know of any others I should try? 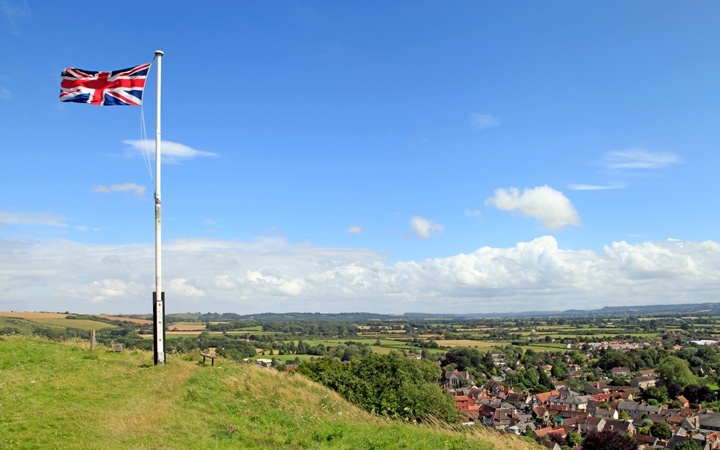 I have been to Durham and Dorset and they are very pretty and worth a visit – mind you there is so much in the UK, that I still have to explore ! I very nearly went to university in Durham, it’s so pretty but ended up in Exeter as it was a bit too cold up north! Have so much of the UK I still want to see too, I’ve hardly seen any of Scotland and there’s lots of the east of the country still to explore as well. I live in the East, so just let me know if you want to meet up there ! We’ve had some great family holidays in Dorset, Lulworth Cove is on of my favourite spots in the UK. I’m totally biased as I live there but love Cheltenham – the festivals are great especially literature (if you ever make it let me know!). I love going to Cheltenham’s Literature Festival every year – it’s the most gorgeous city! The Literature Festival is my favourite out of all the festivals in Cheltenham, always have some really interesting speakers (and its five mins from my house which is a bonus!). Nice pictures on of well known destinations in England. Durham is awesome; I actually think it superior to Oxford anyway (but then I’m a Northerner I would say that). Chester’s a bit so-so though; mind you it was the ‘historical place of choice’ for school trips in my youth and my mother still lives close to it so maybe it’s just too ‘familiar’ for me. One place instead that I’ve not been to, but I believe is very well regarded for the same reason, is St Albans. Will check out your Peak District post – I spent a few days there last autumn but would like to see it when it’s a bit less wet sometime! Not visited St Albans yet, there’s so much of the UK still to see. Great idea – I haven’t been to Chester or Durham for ages but both are lovely. And Dorset is somewhere I’ve been meaning to visit for ages. Dorset is great, stunning landscapes and lots to do. I’m well overdue a Durham revisit too, it’s been about 15 years! Thanks, there are some amazing places in the UK so glad to introduce you to a few new ones! I grew up in Dorset, so I’m really happy to see it represented on your list. Such a beautiful county! 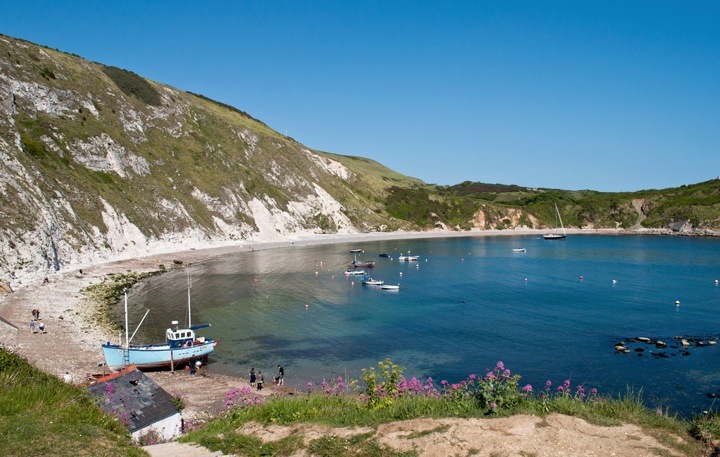 I just love Dorset – we had some great family holidays down there (including a lovely house right in Lulworth Cove). I can certainly recommend Margate. Having been there 5-6 years ago the difference in 2015 was stunning. A whole different atmosphere. Also you’ve got the beautiful and quaint Broadstairs a few miles down the road. I love how these seaside towns are reinventing themselves and finding a new lease of life. Not visited Broadstairs yet but will have to check it out – I’m actually off to Kent for a weekend in Canterbury this weekend but not sure it’s quite seaside weather at the moment! Great to hear you liked it – and hope you enjoy them!